Saniflo > Saniwall Macerator With Built In Frame System. Saniwall macerator with built in frame system. 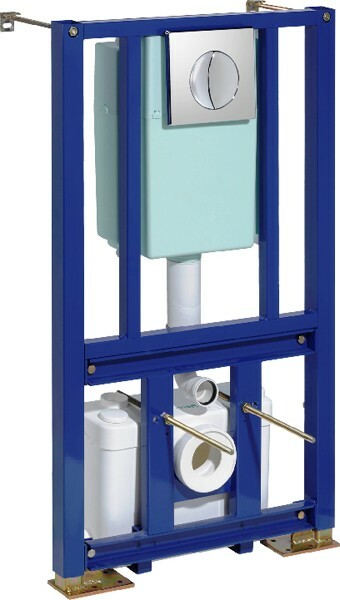 Designed to accommodate all types of wall-hung WC (not supplied). Dual flush and an integral macerator pump. Additional to taking the waste from a WC there are two side inlets enabling a wash basin, shower and bidet to drain to the macerator. 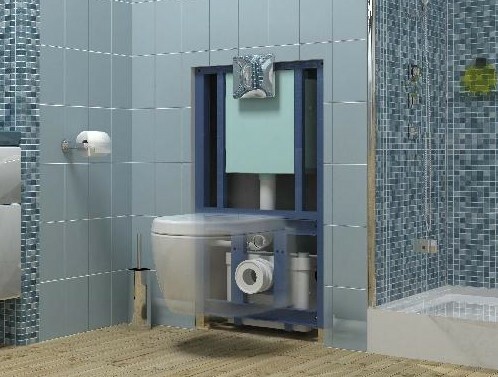 Concealed unit ideal for use with built in bathroom furniture. Adjustable feet allows variable heights of pan. 2 Year guarantee: Saniflo give a 2 year guarantee on this macerator.